I am so delighted to post this, and give you all a peek into the internship I hosted in June!! Although I'm not sure where exactly to start this post, I guess I'll begin by saying the four girls who came to my internship were amazing -- Amanda, Faith, Megan + Karen blessed me so, so much. I remember the first night laying in bed and thinking "I can't believe all these awesome girls are here for this"
-- they were just the sweetest and perfect to spend the week with. + seeing the girls have light-bulb moments during teaching times..that was so fun to share things and see it click in their mind!! + on Friday, I sat down with them each one-on-one and talked about what their strong points are in their photography and how to showcase those..and for some reason that is just one of my fondest memories of the week. I think it was partly because I had been with them each for several days and gotten to know them so well by that point, and I was super excited about the gifts they each have to use in their photography! + seeing the girls grow from all my preparation..I spent hours and hours before the internship contacting model families, choosing restaurants, organizing details, typing out content, gathering photo examples, prepping gear, etc. and it was so worth it. + My family for all their assistance! + Amanda, for being so awesome and helpful! + Caitlyn Barkalow for shooting some video footage for me/taking pictures/helping out one night! + The families who modeled for us and killed it -- Lillis sisters, DeWitt family, Neesby's + Mitton's! + All who were praying or encouraged me with this endeavor, that meant more to me than you know! + God, who definitely orchestrated the weather, details and timing on things far better than I could have ever planned. + My intern girls, for driving out here to Iowa to attend this!! Seriously, they were the best. My surprise that I promised along with this post was a video, so you guys can all get a more interactive view at what we did!! :) I'm no expert, but had fun shooting some clips throughout the week and piecing them together (along with a few Caitlyn shot) to make this! the girls, Amanda or Caitlyn!! ^^ some surprises for the girls when they arrived. :) ^^ you know you picked the right venue to host your internship when the owner makes you fresh rhubarb cake. ^^ group selfie, the first night! ^^ out shooting!! ^^no we're not moving in, just going out to lunch and apparently we need all this stuff?! :) #photogprobs ^^ when there is a local hearth oven bakery, you get food from there..obviously. it's pretty much the best ever!! ^^ class time!! 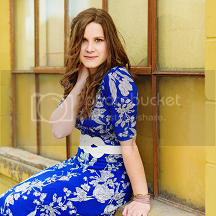 ^^ so great getting to see my friend Emily and photograph her family! ^^ hitting up goodwill -- because friends that thrift together, stay together. :) ^^ panera for the win. ^^ I got each of the girls a Flourish Leather bracelet, because…umm, Flourish Leather. ^^ super grateful for my friend Amanda and all her help!! ^^ last mirror selfie on the final day. ^^ group shot at a coffee shop where we did some class time. photography gets you in all different positions, haha..I usually lay down on the ground at least once every shoot. :) To more formally introduce you all to my interns, here is a bit about each of them along with links to their social media -- which you all need to go follow! They are rocking their businesses already and I'm so proud. :) Megan came down from Ontario, Canada and I loved how joy just radiates from her! She also is a fan of HGTV + shabby chic decorating so hellooooo kindred spirit!! I am so stoked to see her business and branding grow, knowing her great aesthetic already! check out her Instagram here --> @MeganChelseaPhotography Karen from Illinois was the only intern I actually knew in person beforehand, and is the ultimate combination of fun, sweetness and genuine love. She is also super talented at making videos and I'm waiting for the day she starts her own YouTube channel and becomes famous so I can say I know her. :) check out her blog --> HERE and Instagram --> @KarenGracePhotography Faith, also from Illinois, had me laughing with her dry humor from day one. :) In her application, she mentioned as a kid getting a camera and using it so much it melted the batteries!! I so appreciated her obvious passion for photography, and desire to use it to bless others. check out her Instagram here --> @FaithLinellPhotography Amanda is from Wisconsin, and is a total go-getter with radiating enthusiasm!! She has a beautiful photographic eye, and I adore how well she connects with people. I am thrilled to see how her work continues to grow! Check out her website --> HERE and Instagram --> @AmandaJoyImages Seriously, are they the cutest ever or what?! the Amana Colonies has some of the prettiest scenery out there.. thank you Caitlyn, for helping baby-wrangle part of the night!! :) This shot of Emmett cracks me up -- I've got my treat box and capri sun, what more does a boy need?! LOVE these girls...I would go back and do that week over again in a heartbeat -- so much fun!! photographer limbo anyone?! I mean, how low can you go.. :) We did it!!! Give yourself a pat on the back if you made it all the way to the end, thanks for taking the time to do so! And if you enjoyed this post or the video, would you please comment?! I would love to hear what you think. :) Hope everyone has a beautiful Friday!! looks like y'all had the best time. you're awesome for doing it! Looks like fun fun! :-) I'd love to attend sometime! Way to go for pulling this off with class + style!! I'm sure the girls who attended just LOVED it. This brings back so many fabulous memories from the workshop! Looks like another absolutely incredible time of learning + growing + memory-making. :) I'm sure the girls were so blessed by all your hard work and joyful enthusiasm. Loved seeing this recap + the video!